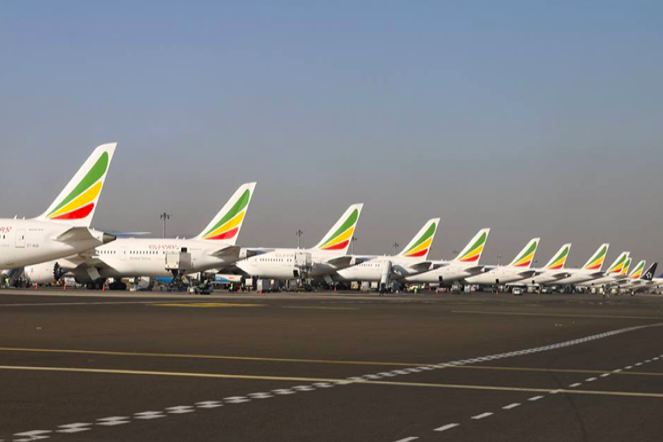 Ethiopia, the base for Africa’s largest Aviation Group Ethiopian Airlines, has overtaken Dubai as the top transit hub for long-haul passengers to Africa, Reuters has reported citing travel consultancy ForwardKeys. The success underscores the continued success of Ethiopian Airlines’ expansion drive and the reforms of Ethiopian Prime Minister H.E. Dr. Abiy Ahmed, according to ForwardKeys. Addis Ababa airport had increased the number of international transfer passengers to sub-Saharan Africa for five years in a row, and in 2018 had surpassed Dubai, one of the world’s busiest airports, as the transfer hub for long-haul travel to the region. Travel booking systems data revealed that the number of long-haul transfers to sub-Saharan Africa via Addis Ababa jumped by 85 percent from 2013 to 2017. Transfers via Dubai over the same period rose by 31 percent. The move to allow visitors to apply for visas online, and the pledge of Prime Minister H.E. Dr. Abiy Ahmed to open Ethiopia’s largely state-controlled economy to foreign investment are said to have contributed to the increase in bookings via Addis Ababa. Dubai has long been a major global air travel hub because it is the base of Gulf carrier Emirates. Given the lack of an “open skies” deal smoothing flights across Africa, many passengers traveling between one part of the continent and another, or from Asia or Europe to Africa, must often transit through Dubai, Reuters noted in its report. With 117 international passenger and cargo destinations across five continents, 60 of which are in Africa, Ethiopian commands the lion’s share of intra-African network.